The picture for my latest post here is pulled together from a few different events and I’ve made a list so that if you see something and like it you can go grab it at the event. This hair from Truth though, it’s not at an event it’s at his main store and I love a great updo like this! My pose which is not at an event either is from Flowey. 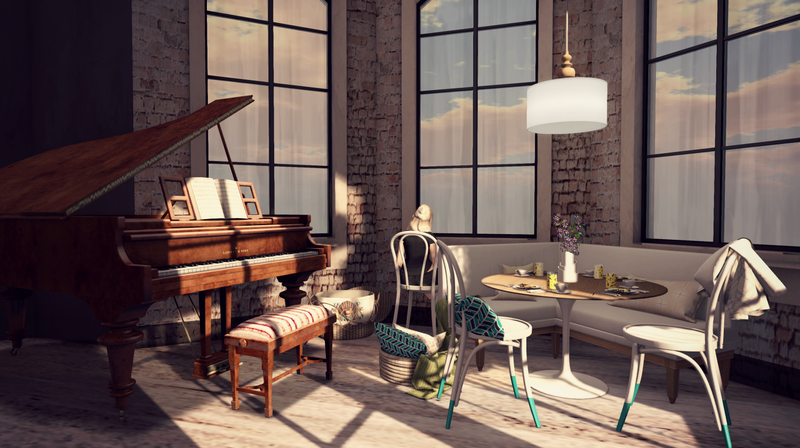 Aria and The Loft have come together to create a beautiful bedroom set called Devon. You can go to Uber right now where it is set up to check it out for yourself. The bed has some nice features. You can keep the bed messy or made. There are different sequences for single animations, couples, and friends. There are also many accessories to the set like a rug, a bench for the end of the bed, lamps, mirrors, flowers and pictures, and really it looks better in person so come and check it out at Uber. The house that I’m using in the photo is the Bennett house from Junk. 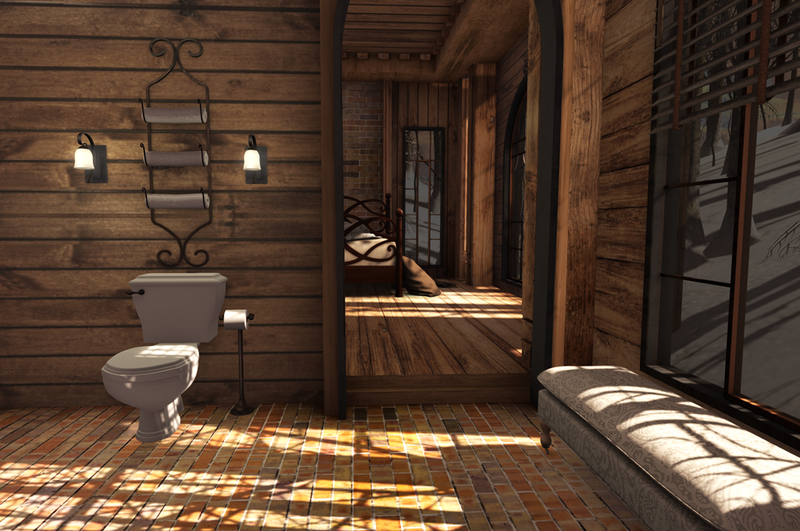 I did a bit of an informational post here: https://sylviaolivier.wordpress.com/2014/12/18/the-loft-oriana-bathroom-set/ on the Oriana bathroom set (it will also tell you where everything is from but most of this is just from the new bathroom set) from the loft. I also wanted to share some of the pictures that I did with the lovely Autumn Hykova as well and to thank her for her patience in posing with me. 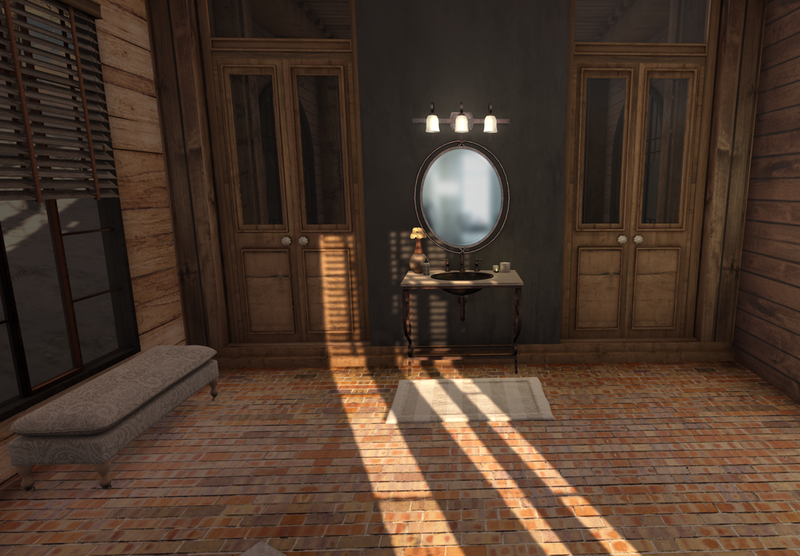 As you know, I love the store in Second Life – The Loft, so I was super excited as soon as I got a hold of this bathroom Set to check out the new Oriana Bathroom set. One of my favorite parts of getting furniture from the loft is the variety of poses and the little extra thought that goes into each piece of furniture. I like that she uses family poses as well as adult ones as it lends realism to the Second Life experience. If you want to take a selfie in the bathroom mirror, you can! If you want to drink a mimosa in the tub.. guess what! You can. It’s the little details that I love from the Loft. Adult and PG/Family versions available. Texture changeable iron parts comes in clean and rusted look. Adult tub has 8 single animations each for male and female and 39 couples animations including 4 sequences using the smoothest animations. Adult sink comes equipped with 6 single animations for male and female and and 13 couples animations including one sequence. 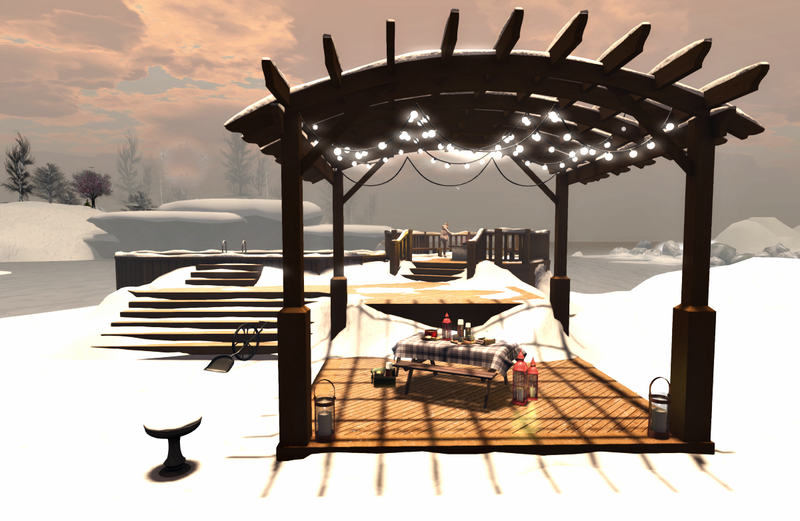 The Star light is from Floorplan @ the Arcade, the lit branches are from Keke at Kustom 9, and the build is from Scarlet Creative. My sim has frosted over now and I’m slowy adding things. One of the things I’ve added is from the Loft at Collabor88. This pool set can be used in either winter or summer. I like the option that it has to use it in winter because it comes with snow! 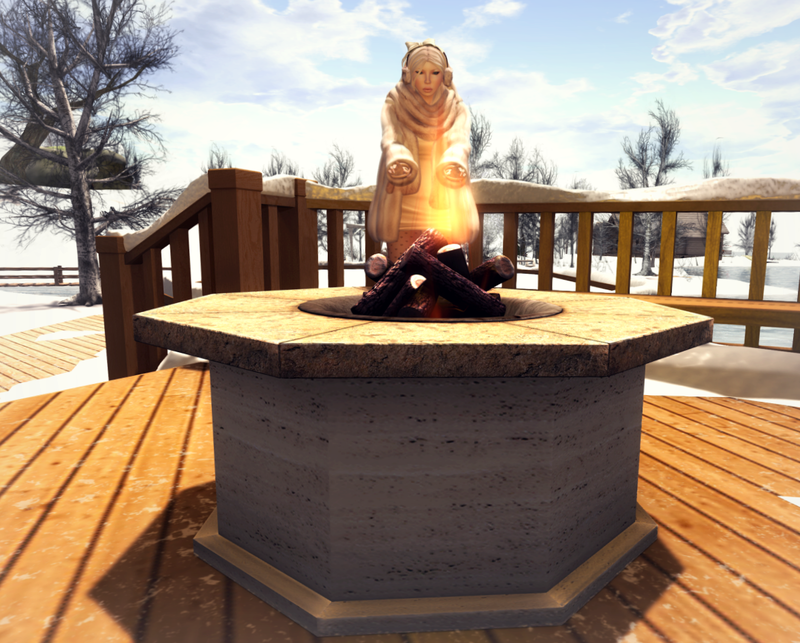 It also has a cute little fire pit to warm up your hands. The bird bath and the old fashioned shovel are from Pilot – at Collabor88. The outfit that I’m wearing is from Foxes. I really love this outfit from Foxes. It looks so cozy and snug. Great job on the shape and texturing. I’m also wearing skin from Glam Affair which is at Collabor88. The ear muffs that I am wearing are from Noodles – also at Collabor88. My Hair is from Olive and the picnic set is from What Next. Unless you have been living in a grave then you know that Collabor88 has been out for a few weeks now and it is your number one source of all things Spoopy! The loft put out some pretty cool chairs and a little side table. Apple Fall has this little hanging ghostie! My dress is from Katat0nik, and my jewelry is from Maxi Gossamer. Not at Collabor88: Tights – Tres Blah, Boots – Monso, Hair – Magika, and skin Glam Affair’s Penny at the Seasons Story.